Having set up countless smart-home products, I have the routine pretty much down. Setting them up usually involves downloading the app, connecting the device to the Wi-Fi, and selecting preferences to make the product more automated so I have to use the app as little as possible. That doesn’t mean the process is always seamless, and I sometimes find myself heading to the company’s website to look for videos, FAQs, or troubleshooting guides. That’s all well and good for simple problems with a device that takes minimal setup time, like a lightbulb or connected pet feeder, but what about something that involves taking out the toolbox or turning off the electricity? As smart-home products start to go more mainstream, setup is going to have to get faster and easier. I might be willing to take time to figure out why my smart lock isn’t connecting to my network, but my parents would likely just pass the problem along to me or one of my siblings. Wouldn’t it be great if there was someone to call for help? The process felt a little like calling Comcast when the internet goes out. That’s the idea behind a new consultation service from Amazon and iDevice’s concierge appointments. Instead of making your kids or tech-savvy friend come over and troubleshoot, Amazon wants to send someone to your house, or absent that, iDevices will set up a phone call to walk you through everything, from downloading the app to setting up scenes with HomeKit. To test out these services, I set up an in-home consultation with Amazon and a phone call with iDevices. Right now, Amazon is offering its free consultations only in Seattle, Portland, San Francisco, San Diego, Los Angeles, Orange County, and San Jose. It’s been around about eight months, according to Jeff Arnold, my consultant. 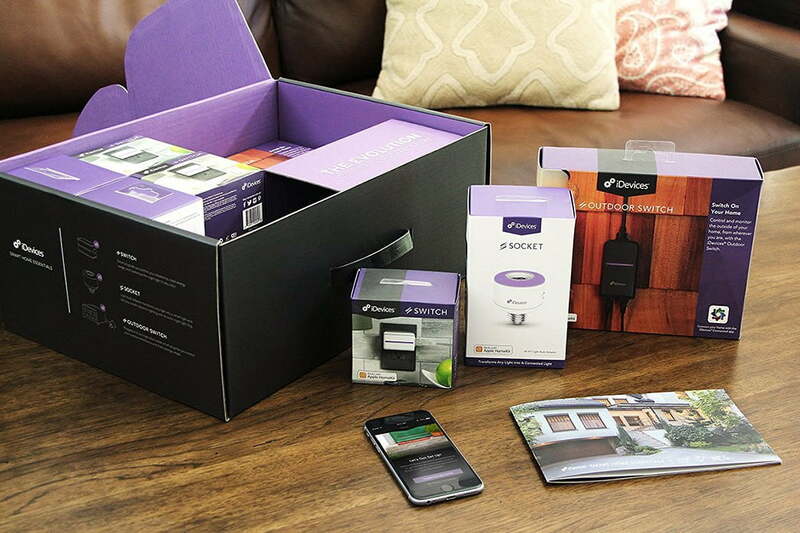 With iDevices, you can schedule a free call, as long as you’ve purchased the company’s Home Essentials kit. The $500 kit comes with five switches, three socket, and two outdoor switches — and the concierge service, as iDevices bills the appointments you can set up. I was able to schedule my iDevices appointment online for the next day, and there were a range of times available, from 5:30 a.m. to 4:30 p.m. Pacific Time. My iDevices call lasted about half an hour, though it easily could have taken longer. The iDevices staffer who called started me off by having me download the app and setting up one of the switches. This is something I usually need help with, but I wanted to get the full experience. I ran into a problem with the app finding my switch once it was connected, because I hadn’t allowed the app to access HomeKit. She quickly figured it out, and I moved on to enabling Alexa control. The iDevices staff can also help you set up scenes via HomeKit and will take you through setting up as many of the individual switches and sockets as you like. Since Amazon is a bit more all-encompassing with the products it offers, its approach to smart-home consultations is a bit different. Arnold told me part of the reason Amazon is offering this service — and for free — is that it wants to get data about what kinds of products are in people’s homes and how well they’re working. He took a pretty thorough catalog of all my devices and asked for my thoughts on how they worked. After looking at my ‘60s-era thermostat, which controls my baseboard heater, he promised to look for a Wi-Fi-enabled thermostat that would work. The next day, I got an email with a recommendation. For a single device, an appointment like this might not seem worth the time. When an Amazon consultant comes to your house, they’re not going to bring tools with them. For one thing, your state might require an electrician or locksmith to make certain changes to your home. Amazon wants to get to the stage where, after the first visit, it can schedule an electrician to come and swap your light switches for smart versions. But every home and every state is different, so that’s why the initial appointment is necessary. Once the service has been around a while, the consultants will have a better understanding of what to expect from older buildings, as well as the differences between a single-story home in Minnesota and a townhome in Florida. In turn, Amazon hopes to be able to offer customers recommendations on what will work best for them. If you’re just installing a single device, setting up an appointment like this might not seem worth the time (or money, when Amazon starts charging). But while any smart device maker that truly wants to assist and retain its customers will have a helpline, it might be beneficial to have someone knowledgeable discuss what you’re looking for before you start buying products. It’s one thing to have a customer service person troubleshoot settings configurations; it’s another to learn the $200 thermostat you just bought definitely won’t work with your old-school system. While every maker of home tech dreams of becoming “plug and play,” in truth we’re years, maybe decades from that goal. Until then, in-home consults will have a useful role to play, and they’ll likely become as common as consulting a plumber before overhauling your bathroom.